Women were excluded from the 2005 formal peace process between the Government of Indonesia (GoI) and the Free Aceh Movement (GAM) and gender issues were not addressed in the minimalist peace agreement. Although Aceh does now have a quota system for electoral candidates, this is having a slow and minimal impact in a densely patriarchal culture. Indeed, women’s rights have deteriorated since the introduction of Shari’a Law which has brought with it patrolling of women’s bodies, movement, and rights. 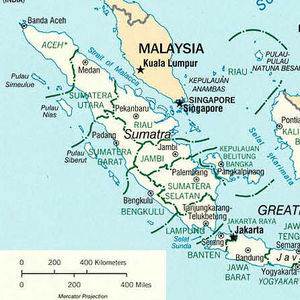 Further, although the 2004 tsunami created opportunities for peace, the disaster caused structural discrimination in terms of access to humanitarian assistance and resources after the conflict, and the disaster also highlighted gender-based discrimination in areas of land, inheritance and child custody rights. The combination of the impact of tsunami and conflict have contributed to structural discrimination against women in areas including: land titling and ownership; inheritance rights; increase in domestic/family violence; and labour force participation.